In Canada, Service Dogs and Emotional Support Animals (ESA) are defined differently than in the United States. 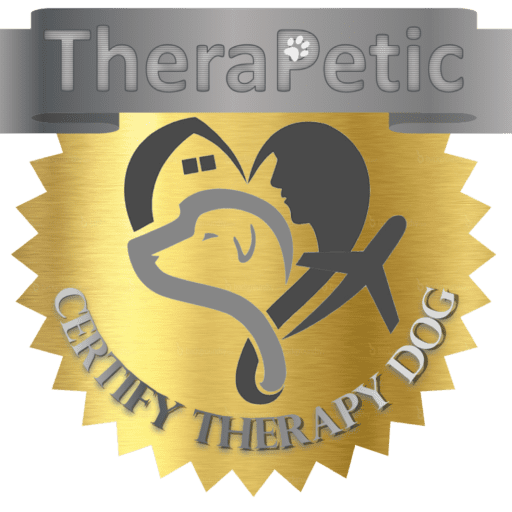 TheraPetic is based both in the Canada and the United States, so we ensure our Canadian clients receive the best support and documents for travel and housing with an service or support animal. In general, an psychiatric service dog or an emotional support animal (ESA) is defined as any animal that brings comfort and support to an individual with a psychological, mental or emotional disability. These disabilities can range from social phobias, to depression, to anxiety, and to PTSD. While an assistance animal (classified as a service animal or emotional support animal) does not require any special training or any specific species, as long as it alleviates stress and provides support and comfort to the disabled person. TheraPetic complies with the Canada Health Act, which is the federal legislation that provides the foundation for the Canadian health care system. Our cyberhealth services provide the best service and exceed standards for our clients. What Laws in Canada Law apply for Traveling on Airplane? The Canadian Transportation Agency ensures that all Canadians enjoy the same access to travel, especially by airplane if traveling with a service or support animal. Every Canadian-based airline must follow the Code of Practice Aircraft Accessibility for Persons with Disabilities (Air Code) and the Air Transportation Regulations (ATR) for persons with any disability traveling with service or support animal. The Agency ensures that any undue obstacles to the mobility of persons with disabilities are removed from transportation services and facilities under its jurisdiction. This includes airplanes, trains, and passenger ferries and buses that cross a provincial or Canadian border. When traveling outside of Canada, please make sure to maintain the proper travel documents for your service dog or emotional support animal by following these guidelines. TheraPetic especially provides the appropriate documentation for travel with Air Canada and WestJet. Air Canada and WestJet will allow you to board an airplane with an Emotional Support Animal, but you will have to provide a letter issued by a licensed doctor at TheraPetic at least 48 hours prior to your flight departure. What Laws in Canada Law apply for Housing in Canada? Accessibility laws across Canada differ from province to province, and in many cases are antiquated, poorly defined, and do not take into account the various needs of individuals with disabilities being supported by service and support animals. TheraPetic specializes in providing the best prescribed letters for your province and local provincial laws.